This Sunday's outfit post is a rather simple look for the office for fall. To go with the fall scenery, I had one of my new Berg & Berg wool ties on, and what a good-looking tie it is. 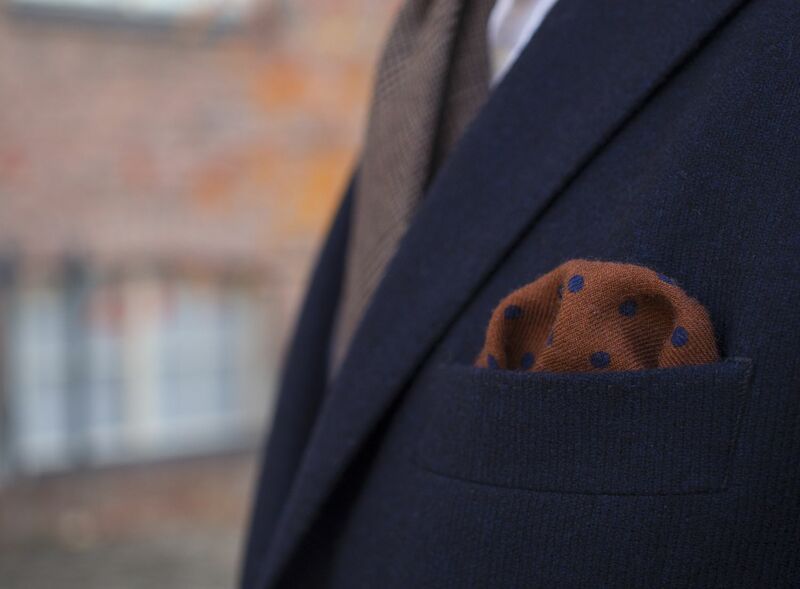 The rust color wool pocket square also adds a nice touch to the look, keeping pretty much all the materials looking nice and soft - just as it should be during the colder months. 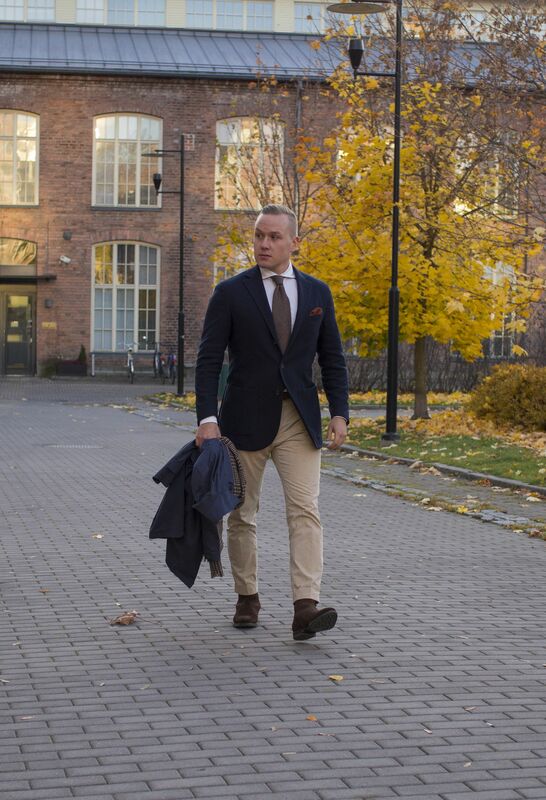 So, the raincoat is from Sealup, jacket from Luigi Bianchi Mantova, shirt from SuitSupply, wool tie from Berg & Berg, pocket square from SuitSupply, belt from Equus Leather, trousers from SuitSupply (Porto fit) and boots from Septième Largeur. Scarf from Berg & Berg. 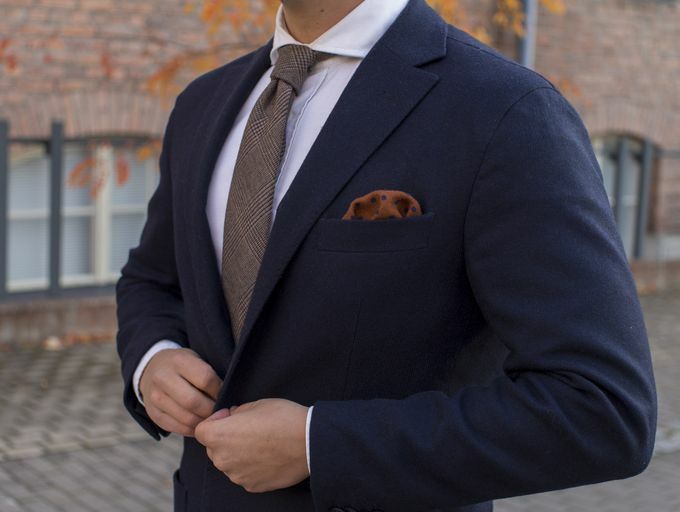 Love how soft the jacket fabric looks as well as the soft natural shoulder line it has. Some great fall colors in this picture. 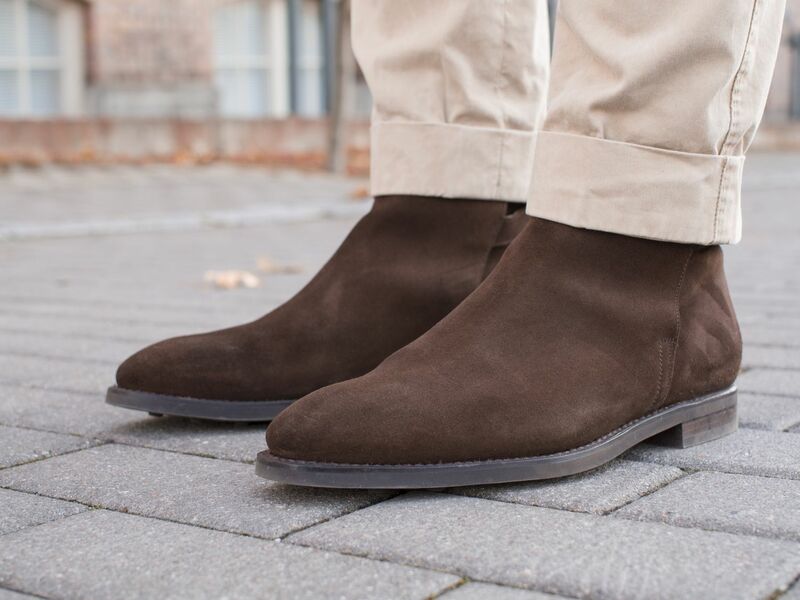 A truly great pair of shoes, these Septième Largeurs, but I'm starting to think chelsea boots are better for everyday wear than jodhpurs. Because the elastic part is missing in jodhpurs, there is always a bit of a bulge around the ankle area that somewhat hurts the otherwise beautiful profile. 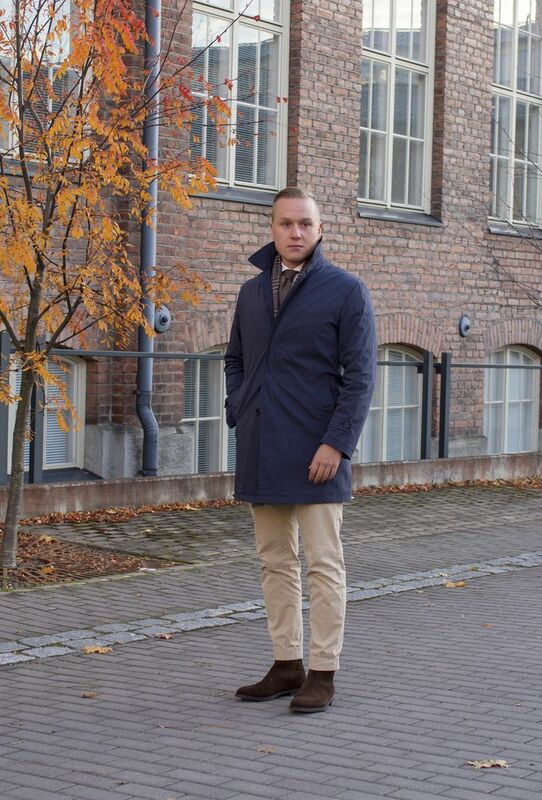 One purchase that I've really grown to love is my Sealup raincoat. Lightweight, but keeps off the wind and water to a degree, it is great for layering. I've been using it at a very wide range of weather, and it has been terrific in warmer and also rather cold conditions. It makes a great outer shell and lets the inner layers do the warming if needed.